Frankincense (Boswellia spp.) is best known for being one of the three gifts bestowed upon baby Jesus by the three wise men, alongside gold and myrrh. It is a member of the Burseraceae family of botanicals. Frankincense essential oil smells like incense, sweet and balsamic with warm and spicy undertones perfectly suited for meditation and prayer. Frankincense comes from Oman and Dhofar, as well as the surrounding South Arabian area. The trees also grow in China, Ethiopia, Somalia, and the oil is frequently distilled in Europe and India. Some texts state this also means 'gum of frankincense' or 'oil of Lebanon,' which olibanum essential oil is sometimes called. You may also hear it referred to as boswellia oil, referring to its genus. Frankincense lore has it that the ancient Egyptians believed the resinous exudate was sweat of the gods, and the famed Phoenix was said to have fed upon it and made its nest out of the twigs. The trees themselves are scraggly looking. They grow to around 25 feet tall, feature paper-like peeling bark, and are branchy with paired leaves as well as white, small, wax-like flowers featuring orange or yellow centers. There are a few distillations of frankincense you could come across when looking for the oil, including Boswellia carterii, B. sacra, B. serrata and B. frereana, as well as some lesser-known varieties. This can cause a lot of confusion as to which one to chose. Unfortunately, this is only further complicated with the controversy surrounding B. carterii and B. sacra. Some believe they are synonymous, while others believe they are different and hold differing properties. There is a study that was conducted on the oils which show differences. Nonetheless, this could be a conflict of interest because of who performed said study, which was the owner of a large and popular essential oil company. Even the exact same species can have different constituents in the essential oil produced, stemming from when, where, and how the botanical was grown, when and how the oil was distilled, and much more. For instance, lavender grown over two thousand feet of elevation produce an oil higher in esters than those grown at lower altitudes, thereby raising the therapeutic value. For now, the jury is officially out on this ongoing argument, although most governing authorities agree that they are synonymous. The distillation of frankincense is an interesting and unique process. The system has been passed down from generation to generation in the Arabian region, where even though the B. sacra trees mostly grow on public lands, the families living there work separate forests. Depending on the overall size of the individual tree, 6-12 'wounds' approximately 2-4 centimeters in length are produced. They are made on the east and west sides of the tree to expose them to sunlight, thereby facilitating drying of the sap. Of these, 6-8 become 'tapping' spots, from which the collecting and slight widening of the wound occur every 2-3 weeks to collect the resin gum, which are pear-shaped tears. They keep this number low, because too many taps cause smaller tears, lowering the quality of them. This tapping process occurs during the dry season. Once the resin is collected, the tears are graded. The whitest of them are considered superior to darker yellow or reddish ones scraped from the bark. Frankincense essential oil comes from the oleoresin that is collected and then steam distilled. An absolute is made in lesser quantities, which is mainly used as a fixative. The oil itself is thin, and can be clear, yellowish, or have a greenish hue. It smells warm and balsamic with sweet and spicy undertones that are apparent under the initial terpene-ness of it. Frankincense essential oil blends well with sandalwood (Santalum album), lavender (Lavandula angustifolia), 'green' oils like bay laurel (Laurus nobilis), 'woodsy' oils like cedarwood atlas (Cedrus atlantica), as well as many other florals, spices, and citrus oils. Unfortunately, the Boswellia trees are in danger. Ecological researchers from Ethiopia and the Netherlands studied about 65 acres that included both tapped and untapped trees, about six thousand total. Over a period of two years, they observed the seed production, survival, and growth of them, then created demographic models. These models show the population declining at an alarming rate, and warn that they could decrease by a whopping 90 percent over the next 50 years. The reason is beyond overproduction, as trees are being attacked by longhorn beetles, along with being negatively affected by cattle grazing and fires. Both frankincense and myrrh have a history of at least five thousand years, dating back to the ancient civilizations of Babylonia and the Mesopotamian kingdom of Assyria. It is believed both cultures used them in religious ceremonies. The Phoenicians sold frankincense to the Egyptians in shiploads to be used for perfume and incense, insect repellent and medicine, and as part of the embalming process for their dead. Both Sumerians and Egyptians used charred and powdered frankincense made into a paste on their eyes. While it may have been used as a cosmetic some of the time, there is an intriguing reason why everyone wore it, not just royals or women. Today, frankincense resin and its oil still have many uses. 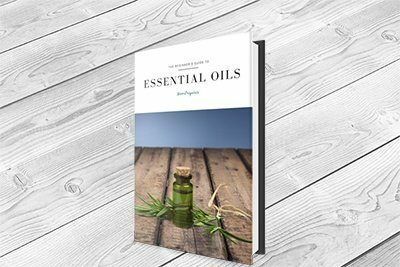 The latter has become a favorite of essential oil enthusiasts everywhere; however, this enthusiasm has brought about a large amount of misinformation. This has led some people to claim that the essential oil of frankincense holds the same properties, which is false. There are no boswellic acids in the oil, but they are in the gum resin and in extracts. However, it does hold promise medicinally in other ways, which will be addressed below. So, while there will be no use or benefit here to use it to defeat cancer or tumors, there are plenty of ways to use frankincense effectively. Commercially, it is used in incense and perfumes, in body-care products like deodorant and toothpaste, and in the food and beverage industry. A lot of these can be applied to home use, and learning how to utilize frankincense oil effectively is easy. Numerous cultures and civilizations have employed both frankincense and myrrh, among other substances, for prayer, meditation, and other spiritual reasons. There is a reason that it has been used as sacred incense for these purposes. Frankincense is fortifying for the mind and resolve, while at the same time being able to promote relaxation, peace, and tranquility. This makes it perfect for personal spiritual and religious purposes and is an excellent choice for assisting in mindfulness exercises and meditation. Perfume scents can be masculine or feminine and are grouped by top, middle, and base notes. The top notes are smelled first because they are the most volatile. Once those dissipate, the middle notes are noticed, and the base notes serve as fixatives and give longevity to the scent. Frankincense is considered both masculine and feminine. They can also serve as either middle notes or base fixatives. Frankincense is an excellent choice for almost any skin care condition you can think of. You can make it into an oil for wrinkles, a cream for face and neck areas, use it in blends for eczema, psoriasis, or other inflammatory skin conditions, use it to reduce scarring, and much more. It is an excellent addition to soap recipes, especially those made for aging, inflamed, or sensitive skin. The positive respiratory effects of frankincense are well known, especially in certain modalities that use the resin and oil for its anti-inflammatory qualities on conditions like asthma. You can make a potent massage oil by combining equal amounts of frankincense, ginger (Zingiber officinale), and niaouli (Melaleuca quinquenervia) and blending it in a dark glass bottle. When needed, simply add 3-5 drops into a teaspoon of a carrier like coconut oil and rub on the chest and upper back area. Diffusing this blend is also helpful. Frankincense tea, made with either powdered frankincense or the resin, can be helpful for this and a number of ailments as well. Note that essential oils should not be considered edible, so do not ingest or take them internally without the advice of a professional. Sometimes, it can be difficult to say what oils will work for what headaches. They vary in intensity and reason, and individual preferences are key as well. However, some people have found success mixing equal parts of frankincense and lavender and then either diffusing or rubbing a drop on their temples. Even though oils generally should not be used 'neat,' frankincense is gentle enough to use at certain times directly on skin, but only after a patch test has been done to determine sensitivity first. The two main benefits of botanicals in the Burseraceae family, which include elemi (Canarium luzonicum), frankincense and myrrh oils, are that they are cicatrizant. This makes them good for wounds and scar tissue. They are also expectorant, making them useful in respiratory conditions. As far as aromatherapy goes, one of the best side effects of it, intentional or not, is how it affects moods. Some will be energizing, some will bring on a good night's sleep, and many other benefits. Frankincense is one of the ones to reach for when moodiness occurs, anxiety or panic attacks strike, or emotional nervousness sets in. Just as it has a grounding effect for meditation, it can calm the spirit and emotions. The ancient Egyptians and Sumerians were apparently on to something when they used frankincense for eye protection. Frankincense is an immunostimulant. In Aromatherapy for Health Professionals, the authors write about a case study in which a woman came in with a wound from a Caesarean operation that became infected with Staphylococcus. The wound was first treated with Thymus vulgaris hydrolat, geranium (Pelargonium graveolens) lavender (Lavandula angustifolia), tea tree (Melaleuca alternifolia), and hypericum hydrolat and oil. After the wound began shrinking, which took about a week, scar minimization efforts began. This was done by using frankincense (Boswellia carterii), geranium (Pelargonium graveolens), and patchouli (Pogostemon cablin) in aloe vera gel over the injured area, twice daily. After about six weeks, it was reported that the skin was almost completely healed. This shows the cicatrizing effect of the oil and its benefit for scar reduction. Using the oil in a diffuser or personal inhaler to combat nausea and morning sickness. In blends with carrier oil to keep the skin supple in expanding area in an effort to avoid stretch marks. Use in a blend to help alleviate stress and anxiety in the delivery room, provide comfort and peace, and aid in maintaining proper respiration techniques. Researchers are finding that the terpenes in frankincense have significant success inducing apoptosis of breast cancer cells. While this is in vitro testing, they believe that it is large enough to test on a wider scale in vivo. It must be noted that again, this does not make frankincense oil a cure for cancer. This result was obtained with 'heavy' oil that was obtained through Soxhlet extraction, using the solvent hexane, not steam distillation. The findings lead the researchers to determine there is promise for frankincense oil to someday become an alternative intravesical (directly inserted into the bladder through a catheter) therapy for bladder cancer. Researchers at the University of Life Sciences in Lublin, Poland set out to determine the efficacy of anecdotal evidence of frankincense's therapeutic value in 2016. They found that the resin, oil, and extracts all had a lot of reparative abilities, but that they were not always found in all forms. There is something to the traditional use of it in Ayurveda for rheumatic conditions, as well as in Middle Eastern medicine's use of it for inflammatory conditions like respiratory disorders, those of the bones and joints, and more. The boswellic acids themselves were useful for more than just that, such as being anti-neurotic and anxiolytic, expectorant, and antiseptic. They further found that olibanum has tranquilizing, antifungal, and antibacterial properties. It is also analgesic and helpful for pain. Frankincense is near magical in everything it can do, and ancient civilizations were right about its many benefits. Not everything attributed to olibanum can also be attributed to the essential oil, such as it being anti-cancer. Nonetheless, the oil holds many wonderful benefits. Unfortunately the Boswellia genus, where frankincense oil comes from, is in danger of going extinct in the next century or so unless something is done. So, while it is a lovely oil that is helpful for many things, be sure to use it responsibly and only purchase it from providers that use sustainable practices.